Building a WordPress blog with great content can drive an organic traffic to your website but without knowing the statistics like from where it is coming and what type audience you have, its like you are shooting an arrow in the dark. You can deliver better relevant content if you know your audience and top performing search keywords of your website. By default, the WordPress doesn’t have stats features that can monitor the traffic and visitors. But don’t worry the WordPress has plugins gallery which features 29000+ plugins and many of them allow you to add Stats and Analytics on the WordPress site. Many newbies to WordPress get confused how to see the WordPress Statistics and how to choose the Best Statistics Plugin for WordPress out of hundreds plugin available in WordPress Plugins directory. To help those we have listed few best plugins to monitor the traffic and get the stats of WordPress based blog. Google Analytics is the best to keep eyes on your visitors. 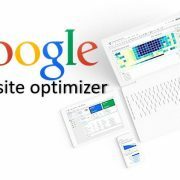 The Google Analytics WordPress plugin works with your Google’s main Analytics system. Just copy the tracking code and paste it into the plugin to view the stats in depth. It provides depth page reports and also the performance of each post or pages. It is one of the Free and best statistics plugin for WordPress. The big benefit of Google Analytics code is that it is fully customizable and allow to get some advance data collection like custom dimensions and events. The Wp statistics plugin is a feature-rich statistic plugin that shows a comprehensive report about WordPress visitor statistic. It is also free and shows all info on one page. Know visitors query coming from different search Engines such as Google, Bing, DuckDuckGo, Yahoo, and Yandex. Jetpack is the plugin developed by official WordPress team and this plugin is meant for multiple tasks. It is a very powerful plugin that helps you to know the statistics of WordPress via an intuitive dashboard. On that dashboard, it gives you stats about users visited the website daily, total no. of page views and more… It is not just a WordPress stats plugin but also provide automatic sharing on social media channels such as Facebook, Reddit, Tumbles, Twitter and more. If your website doesn’t have a feature to show related post under the article then this plugin also do that for you. Slim Stat Analytics is another feature-rich WordPress analytics plugin that is easy to use and customize. It has more than 100,000+ downloads and supports all top WordPress cache plugins like W3 Total Cache, WP SuperCache, CloudFlare. If you talk about monitoring WordPress website traffic, it gives you an in-depth report of your traffic. You can also get all the WordPress stats at your Dashboard by installing Slim Stat Dashboard plugin. Ability to exclude admin pages, IPs, browser, country, user roles etc. 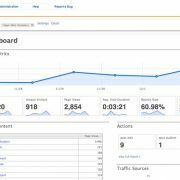 This is another great WordPress statistics Plugin that again relies on Google Analytics data to show the report. But it presents the Google Analytics data in a very beautiful way at its own Dashboard and also can configure to show on WordPress Posts/Pages at the front end. Now you don’t need to open you Analytical page of Google to see the WordPress statistics again and again. It available in both free and premium versions. Click Authentication process to adds Google analytics tracking code directly from the website.